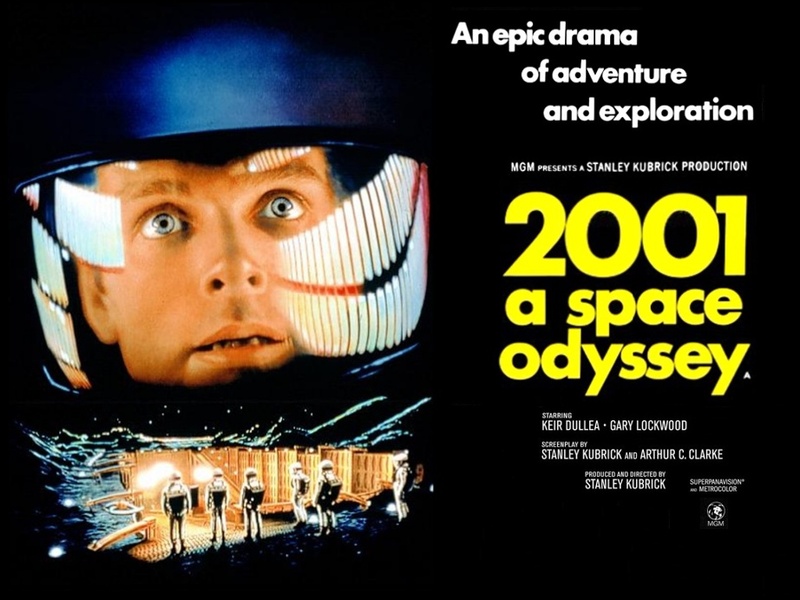 This month marks the 40th anniversary of the release of classic science fiction movie 2001: A Space Odyssey. The Academy of Motion Picture Arts and Sciences held a commemorative screening last week in Hollywood’s MGM theatre. In May 1964 director Stanley Kubrick and science fiction author Arthur C Clarke embarked on a creative collaboration: a novel and a screenplay inspired by Clarke’s 1950 short story “The Sentinel.” In December 1965, many ideas, drafts, and titles later, filming commenced on 2001: A Space Odyssey. The futuristic epic, placed in the first year of the new millennium, premiered in the US in April 1968 — and went on to become one of the finest science fiction movies made. The film’s best known connection to Sri Lanka is that its co-creator Arthur C Clarke had by then settled down there. During the 1964-68 period that he was associated with the production, Clarke would make periodic returns to his Colombo home — first from New York, where he brainstormed with Kubrick for weeks, and then from England, where the movie went into production. Filming of 2001 began in December 1965 in Shepperton Studios, Shepperton, England. Soon, filming was moved to MGM-British Studios in Borehamwood. I got to know Premaratne (in photo above, affectionately known as Prema) in the late 1980s when he was special assistant to Arthur Clarke, in whose Colombo office I started working as a research assistant in 1987. I have just unearthed, from the depths of my own archives, an illustrated profile I wrote on Prema which appeared in The Island newspaper (Sri Lanka) on 26 January 1991. In a 2,000-word biographical sketch of the man that veteran journalist and biographer D B Dhanapala once called ‘a modern day Viswakarma’, I chronicle how Prema came to be associated with the movie’s production. Prema had just retired in 1965 as Director of the Department of Public Works – in other words, the Ceylon government’s chief builder. By happy coincidence, 2001 was just entering its production stages around this time, so Clarke put Prema in touch with the Borehamwood Studios where elaborate sets for space scenes were being constructed. There, Prema worked with British and American set designers and special effects specialists. For his efforts, he was listed as a member of the full production crew – even though he would go uncredited in the movie itself (as did dozens of others). When the Internet Movie Database was created decades later, he would also earn himself an entry there as Hapugoda Premaratne. 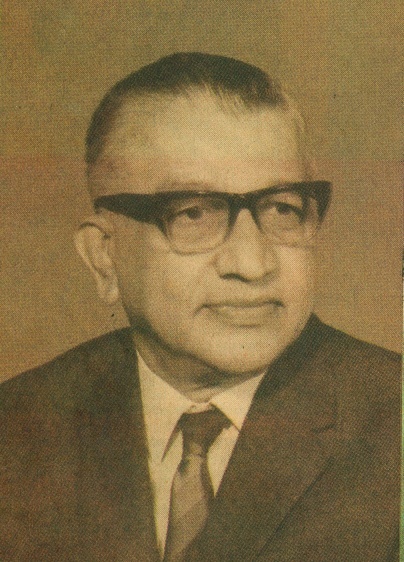 Prema capped his long and illustrious public service as Sri Lanka’s ambassador to Burma, concurrently accredited to Thailand, Laos and Singapore (1974-78). From 1983, he worked as Clarke’s special assistant, while pursuing his own painting, sculpture and design work from his home at Wijerama Mawatha, Colombo — a short walk from Clarke’s own residence at Barnes Place. I remember visiting Prema at home on several occasions. After his wife passed away and son moved overseas, he lived alone in a large, old house that was teeming with works of art – it was like a private art gallery or museum. All over the garden, there were scaled replicas of famous rock sculptures from places like Anuradhapura and Polonnaruwa. He pioneered a method of creating fibre glass replicas of archaeologically valuable statues and artefacts. These were used to showcase the best of Sri Lanka in major exhibitions in London, Washington DC and other capitals of the world in the 1980s. 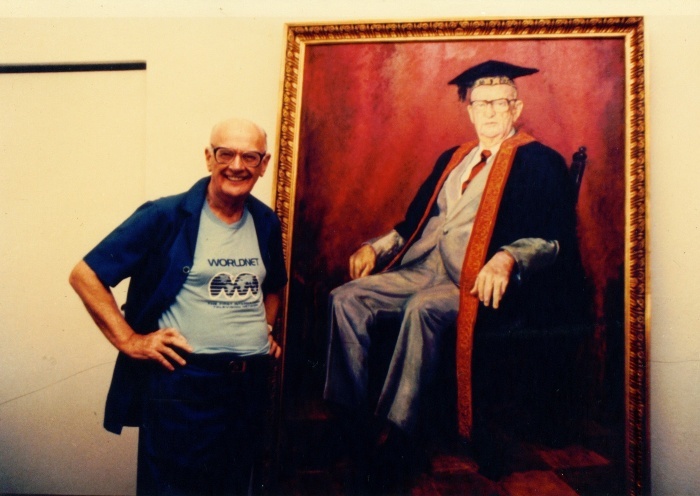 In the late 1980s, Prema also painted a life-size portrait Arthur C Clarke as Chancellor of the University of Moratuwa, which is still on display at the Arthur Clarke Centre there (photo, below). It’s a bit cliched to say this, but they don’t seem to make renaissance men like H R Premaratne anymore. He straddled the arts and sciences with equal dexterity and with impressive results in both spheres. He not only built bridges in newly independent Ceylon, but was himself a bridge between the Two Cultures of the sciences and humanities. More information on making 2001: A Space Odyssey is found in the documentary, 2001: The Making of a Myth. I have nothing against reality television. It’s a TV programming format that, according to Wikipedia, presents purportedly unscripted dramatic or humorous situations, documents actual events, and features ordinary people instead of professional actors. In fact, I’ve been telling my friends who are factual film-makers that we can learn a thing or two from the recent successes of some reality TV shows. But everything has its sane limits — and evidently these were exceeded in the recent controversy involving a British TV production company that stands accused of starting a ‘flu epidemic that left four people from a tribe of isolated Peruvian Indians dead and others seriously ill.
Matt Currington (in photo above, on the right), a London-based documentary maker, has been blamed for triggering a “mini-epidemic” in the village of 250 people which led to the deaths of three children and one adult of the Matsigenka people, who live in the isolated Amazonian Cumerjali area of south-eastern Peru. The 38-year-old was employed by Cicada Films as researcher when he travelled to the area with a guide last year to scout for locations for the World’s Lost Tribes series, which airs on the Discovery Channel. The regional Indian rights organisation Fenama, government officials and a US anthropologist working in the region said in statements seen by the Guardian that a two-person crew working for London-based Cicada Films had visited groups of isolated Indian communities despite being warned not to. Fenama said the film team travelled far upriver and provoked an epidemic. It accused them of threatening the lives of Indians and called for Cicada Films to be barred from entering the area again. 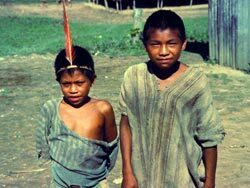 It is understood the company was scouting for a location to set a TV show for Mark Anstice and Olly Steeds, in which the two British presenters would live with a remote tribe, in exchange for gifts. The company has already filmed episodes in New Guinea. According to the Peruvian government’s protected areas department, Cicada was given a permit to visit only the community of Yomybato. It expressly prohibited visits to uncontacted or recently contacted Indians. “The Cicada team entered [remote headwaters] which are part of the strictly protected zone,” it said. In case you think this is some left-wing or liberal conspiracy, read also The Times London story: TV researcher brought fatal flu to Amazon tribe. The American anthropologist, Glenn Shepard, who met the film team on location, said he had urged them not to make the trip to the Cumerjali settlements, “where people were vulnerable to western illnesses”. “Reality tv seeks ever more dangerous, remote and exotic locales and communities,” he said. Stephen Corey of the international tribal rights organization, Survival International, agreed. “There has been a whole rash of bizarre and extreme programmes on tribal rights. The key issue here is sensitivity which is not often a priority for television companies,” he said. 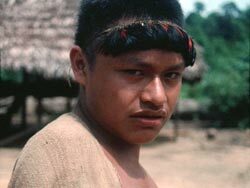 According to Survival International, Cicada Films previously caused controversy with a documentary about an expedition to visit Indians in Ecuador, which allegedly provoked an attack from uncontacted Waorani Indians. But Cicada is certainly not alone when it comes to exploiting marginalised people in the global South in the course of film-making. And reality TV is not the only format of TV film making that often oversteps the ethical boundaries in search of a ‘good story’. As I have been saying for sometime now, documentary film-makers and TV news gathering crews are equally guilty of many excesses, lapses and gross abuses all perpetrated in the name of media freedom. Nor is this sinister trend entirely new. I opened a September 2007 blog post with this bizarre request: “Can you help us to film a child’s leg being broken?” This was made by a visiting Canadian TV crew in the 1970s to my friend Darryl D’Monte, one of the most senior journalists in India and former editor of the Times of India. This was in connection with a brutal practice that was believed to exist in India, so that forcefully maimed children could be employed as beggars. When Darryl was outraged, the film crew had shrugged off saying: “It’s going to happen anyway”. Film-makers and TV journalists roam the planet exercising their license to protect and promote the people’s right to know, and in the public interest. But this privileged position is grossly abused when they allow the end to justify their highly questionable means. “These forays of reality tv perpetuate an imagery conceived by a 19th century alliance of anthropologers and photographers, that of tribals in their “innocent” state. It’s another matter these images were taken after the tribal groups were ravaged by colonialism. I just wrote a blog post titled Children of Heaven: Appreciating the sound of silence. Reviewing the 1997 movie by Majid Majidi, I remarked about his strategic use of silences in his soundtrack – we must never underestimate its power in the right place. Other creators of moving images do their magic with a good sound track – but sometimes without using a word of dialog. Here’s a clever example I’ve found on YouTube – it is by Italy’s leading animator, Bruno Bozzetto (photos below, courtesy Bruno Bozzetto website). Titled Femminile & Maschile (Feminine and Masculine), this 2-D animation was made in 2004. I can’t find a synopsis online, but one website introduced it simply as follows: Some situations that show the difference of behaviour between men and women in the everyday life. Earlier this week, to mark Earth Day on 22 April 2008, I took part in a half hour, live interview with Sri Lanka’s highest rated, most popular channel, Sirasa TV. I wanted to relate the global to not just the local but also to the individual and family level. To discuss how our lifestyle choices and consumer decisions affect that planet, I used a series of brilliant cartoon animations that Bruno Bozzetto had done some years ago for WWF. Again, without having his characters utter a single word, Bozzetto gives out profound messages through images and musical sound track. This is why I keep saying that when it comes to the sheer economy of words, we writers just can’t beat cartoonists. What’s it with children and shoes? Those who have none dream of owning their first pair. Those who have one, or some, still dream about a better, or perfect, pair. Shoes are worth dreaming about, crying (even fighting?) over, and running races for. 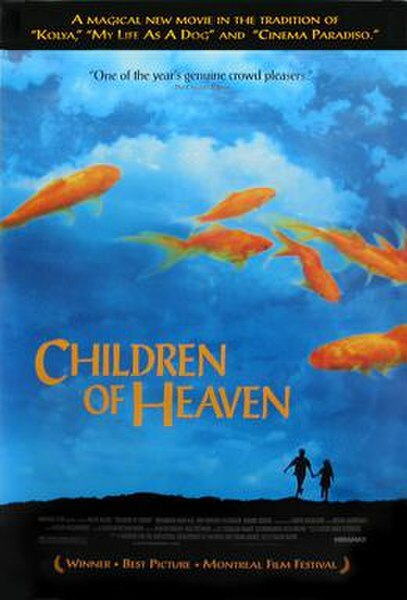 Like Ali did, in Majid Majidi’s superbly crafted 1997 movie Children of Heaven. For 90 minutes this afternoon, my team and I ran the race with little boy Ali, sharing his dreams, sorrows and eventual (albeit bitter-sweet) triumph. I had seen this film before, but this time around, the experience felt even better than I remembered it. I already knew the story, but I was spell-bound by the film’s culmination – the children’s race where Ali wanted to come third, but ended up winning. I followed the last few minutes with tears in my eyes and the heart beating faster. This is what good story telling is all about. Of course, Majid Majidi didn’t work this miracle alone. The superb cinematography of Parviz Malekzaade was well packaged by its editor Hassan Hassandoost. His work is uncluttered and elegant: the story flows in a simple, linear manner with no flashbacks or flash-forwards; no special effects to jazz things up; and the scenes are so seamlessly meshed together with hardly a second being wasted. And the soundtrack played a vital part in shaping the whole experience. It’s not just the music. As my colleague Buddhini remarked, it also made clever, strategic use of silence. We might call it the sound of silence – and never underestimate its power in the right place. As I then wrote, I hope this was an ‘Aha!’ moment to some in our largely academic and activist audience. Many who commission films or even a few who make films tend to overlook this. Especially when they set out trying to ‘communicate messages’. Children of Heaven is living proof of this. It has no lofty agenda to deliver information or communicate messages of any kind. Yet, by telling a universal story set in modern day Iran, it brings up a whole lot of development related issues that can trigger hours of discussion: not just the rich/poor or rural/urban disparities, but other concerns like how a country like Iran is portrayed in the western news media. As a colleague remarked after today’s film, she had no idea of this aspect of life in Iran — the version we constantly hear is of an oil-rich, nuke-happy, terror-sponsoring theocracy that, to the incumbent US president at least, is part of the ‘axis of evil‘. And the Al Jazeera International channel, packed with BBC discards or defectors, has done little to change this popular perception. We watched the movie as part of our monthly screening of a feature film. We are lining up critically acclaimed films from different cinematic traditions of the world. And then we discuss its artistic, technical and editorial aspects. Note: The film, originally made in Persian, was named Bacheha-Ye aseman . It was nominated for an Academy (Oscar) Award for the best foreign film in 1998, but lost out to a worthy competitor, Roberto Benigni’s Life is Beautiful. Today is Earth Day. It’s especially observed in the United States, where it originated in 1970 as an apolitical event to rally everyone around to the call for a cleaner, safer environment. Rather than talk anything environmental, I just want to share a brilliant animation produced by the famous Italian animator Bruno Bozzetto. It’s called Grasshoppers. It takes a satirical look at the rise of our species in a historical context – and reminds us of our place. Synopsis: In the natural course of earth’s evolution, five or a thousand years represent just a handful of seconds. What is mankind’s role in this infinite stage? Grasshoppers received an Oscar nomination in 1991 in the animation shorts section. Women on the Frontline: Reporting from the battlefront at…home! With these words, Annie Lennox, the British singer and social activist, presents a new global series of investigative television documentaries called Women on the Frontline that begins on the global satellite TV channel BBC World today, 18 April 2008. The seven half-hour films shine a light on violence against women and girls in different parts of the world – East and West, North and South. The series takes the front to homes, villages and cities of our world where a largely unreported war against females is being waged. The films cover Nepal, where thousands of women are trafficked each year; Turkey, where killing in the name of honour continues; Morocco, where women political activists who have survived torture and imprisonment testify before a government truth and reconciliation commission; the DRC, where women bear the brunt of a 10-year war in the eastern provinces; Colombia, where women have been tortured in the shadow of a guerilla war; Mauritania, where women who have been raped may go to prison; and Austria, where, under a new law, perpetrators of domestic violence are forced to leave home. Here’s the line up of depressing reports in this series, produced by Geneva-based dev tv and London-based One Planet Pictures – both international partners of TVE Asia Pacific. On the Frontline… is a ‘vehicle’ for independent producers to tell compelling stories about the people who uphold civil society where it is most at threat. The strand started with the 2006 pilot series Doctors on the Frontline, a profile of Medecins Sans Frontieres (MSF) field doctors made by Dev TV film-makers. Since then, the series has covered villages battling desertification and land degradation, nurses and para-medics on humanitarian missions in hot spots of the world, and children living with social and environmental disintegration. “On the Frontline has gone behind the lines with rebels and filmed among violent street gangs but this time we’ve taken the frontline mostly into the home, where even after 20 years in production, I’m still shocked to see how many obstacles lie between women and equality, and the violence they must still endure,” said Robert Lamb, Executive Director of the series. A number of UN agencies, including UNFPA and UNIFEM, donor countries such as Austria, non-governmental organizations and other partners provided information and support for the latest series of Women on the Frontline. Soon after its initial run on BBC World, the series will be distributed in the Asia Pacific region by TVE Asia Pacific. I just came across this music video, ‘It couldn’t be me’ by the rock group Power of Zeus. The video says it all with amazing economy of words and time. With Earth Day 2008 coming up next week (April 22), this is a message that’s worth spreading.